Springsteen on Broadway is a unique experience. It seems unthinkable that Bruce Springsteen would ever slow down, but in 2017, he did exactly that…sort of. 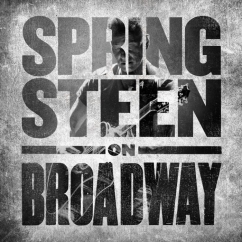 Instead of embarking on another year-long arena tour with his ever-reliable E Street Band, he changed things up and took up residence on Broadway. 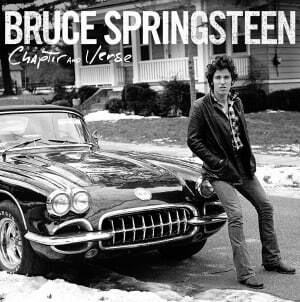 With some consideration, it actually makes some sense that the Boss would end up on the Broadway stage in some fashion or another: his music, though rock ’n’ roll through and through, often has a sense of grandiose, sweeping theatricality in its earnestness. Yet, Springsteen on Broadway is not filled with the sort of bombast that one associates with big musical productions like Broadway shows or, indeed, Bruce Springsteen albums. Instead, Springsteen offers an intimate, reflective look back at his long career while showcasing some of his classic songs and deep cuts in a different light. Springsteen on Broadway is a show with a specific purpose rather than any old set-list. Less a concert and more of a one-man show, the album is split between performances and monologues from the man himself as he recounts the story of his life. Unlike the sort of off-the-cuff, inane stage banter that sinks more than a few live albums, Springsteen’s words are very much part of the show here, delivered with measured earnestness and good humor when necessary. The set follows the chronology of Springsteen’s life, starting with his upbringing in small-town Jersey (aptly, the show begins with “Growing Up”) through his early career and how he met his most important collaborators. Springsteen switches between jovial, self-deprecating humor and quiet self-reflection so smoothly that it underscores the performative aspect of what he’s doing as a speaker while not really coming across as overly staged. As a show, Springsteen on Broadway largely succeeds, even though it might be strange for the Broadway-averse Springsteen fan. Once he starts singing, Springsteen on Broadway feels a bit more familiar. 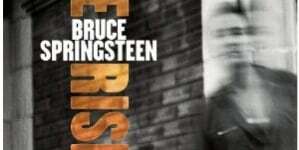 Taking some cues from the arrangements of his intimate, acoustic shows behind albums like Devils & Dust or The Ghost of Tom Joad, the show keeps a sense of acoustic closeness to the audience, and the life-story conceit of the show/set-list allows Springsteen to create interesting re-interpretations of his biggest hits. 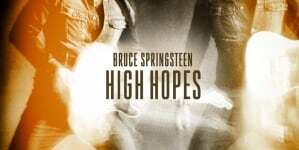 “Tenth Avenue Freeze Out” becomes a wistful, solemn piano ballad that allows for Springsteen to contemplate the late Clarence Clemons, the partial inspiration for the song. Meanwhile, he recasts “Born in the U.S.A.” as a menacing blues number that makes the anger and righteous fury at the heart of the song explicit enough for Ronald Reagan’s ghost to comprehend. He doesn’t rely on the hits to tell his story, though; as much time is given to deeper cuts from recent albums like Magic and Wrecking Ball as is given to his most recognizable songs, and a few big crowd-pleasers are omitted altogether. It’s a set put together with real intent, one beyond simply giving the people what they want. Even though it is clearly a theatrical production, Springsteen on Broadway offers a more real version of the Boss that listeners rarely get a chance to see or hear. As guarded as Springsteen has always been about himself, here he strikes the balance between cautiously opening up and making sure that the songs take center stage. Springsteen on Broadway is a unique experience for fans of this era of music, given that so many artists of Springsteen’s stature rarely open themselves up like this. For that reason alone, the album is an experience worth taking part in. A predictable parade of uber-hits.